‘Sir Alex Ferguson’ took great delight in showing ‘Arsene Wenger’ and ‘David Moyes’ exactly what a cup looks like. We all know that Christmas is a time for friendship and forgiveness but imagine the surprise at Sport-locker.net when we saw three rival Premier League managers enjoying each other’s company on the streets of Manchester! 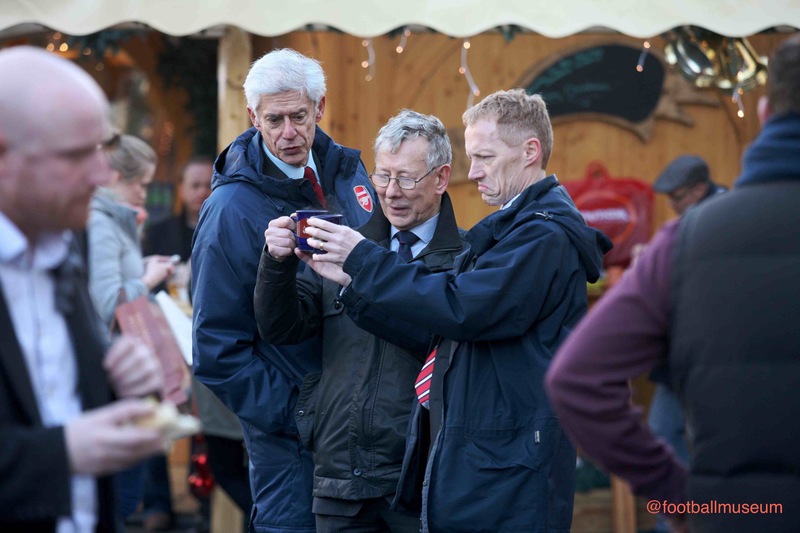 It was like a meeting of the Ghosts of Football Past, Present and Future when Sir Alex Ferguson, Arsene Wenger and David Moyes enjoyed a glass of Christmas gluhwein together at a Christmas market. 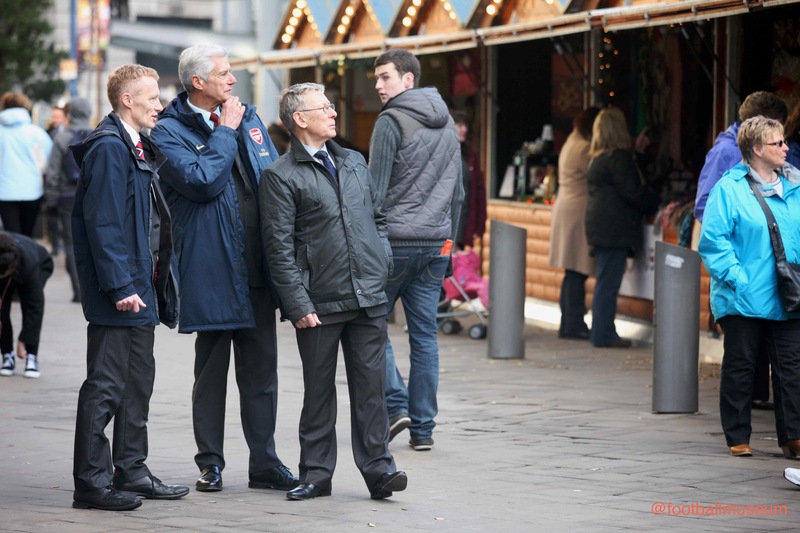 The gathering of the three wise men of football certainly turned heads as onlookers at Manchester’s annual European Christmas Market craned their necks to watch as the trio shared a festive ‘toddy’ in Manchester’s Albert Square. Had Sir Alex – the ghost of football past – and Arsene Wenger, the ghost of football present, really put their legendary differences aside to sit down together for some pre-Christmas spirit? And was the unexpected gathering a sign that David Moyes really is considered the ghost of football future for Manchester United? 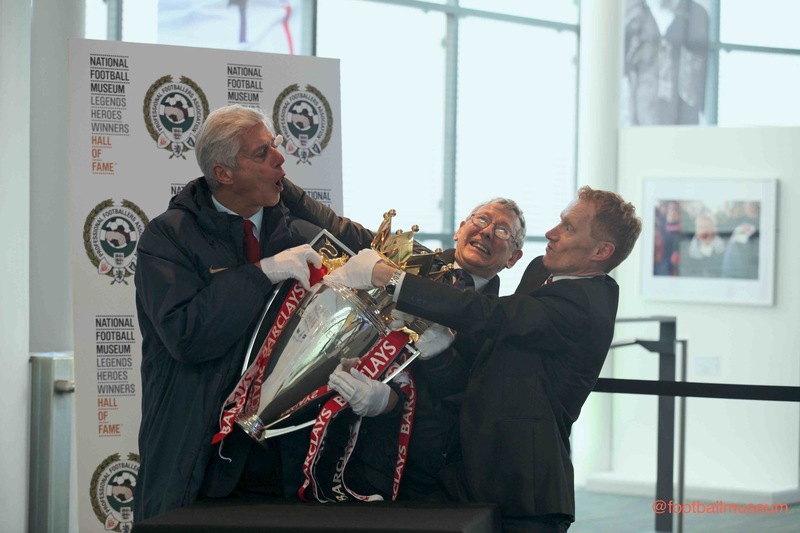 There was, as you’d expect, an almighty struggle over the Premiership Trophy when the three legendary bosses decamped to the National Football Museum. It certainly started something of a Christmas kerfuffle among festive revelers out on the town in Manchester – with many going over to the legendary managers’ table for a closer look and the trio even posing for snaps for bemused footy fans. But fans worried the famous fierce rivalry between Arsenal and Manchester United may be diminished by the apparent entente cordiale needn’t have worried – because the get-together was just a ‘Merry Christmas’ publicity drive by the National Football Museum. The museum, which is based across town in city centre Manchester, wanted to do something different to celebrate Christmas and kick off its programme of events over the next couple of weeks to highlight its role in permanently celebrating the Beautiful Game. So bosses came up with the idea of using famous lookalikes to pose for a Ghosts of Football Past, Present & Future photo opportunity on the museum’s doorstep. Members of the public were ‘rubber-necking’ as they watched the impromptu Football Managers Christmas Party unfold at Manchester’s Christmas Markets. Kevin Moore, Director of the Museum, said: “Football is far more than just a game – it is steeped in culture and, for millions of people, is very much part of their daily lives. “We thought it would be great to get Sir Alex and Arsene Wenger, famously fierce rivals, together at Christmas for a glass of gluhwein. And with David Moyes being the new boss at Old Trafford, we also thought he should be at the table. Were you fooled by the Premier League football manager lookalikes? Let us know in the comments section below or on our Twitter and Facebook pages.